Detail of the front porch. Victorian house in Montrose. Houston, Texas. A friend recently took me to an estate sale on Stratford street in Houston's Montrose neighborhood. We arrived late in the morning and found the house empty of contents and visitors, most items having already been picked by the early risers. Instead of being disappointed in our shopping luck, my friend and I took to wandering the rooms of the empty house, admiring its decaying grandeur. I inquired about the property and was told that the house was under a sale contract already, for a surprisingly low price. 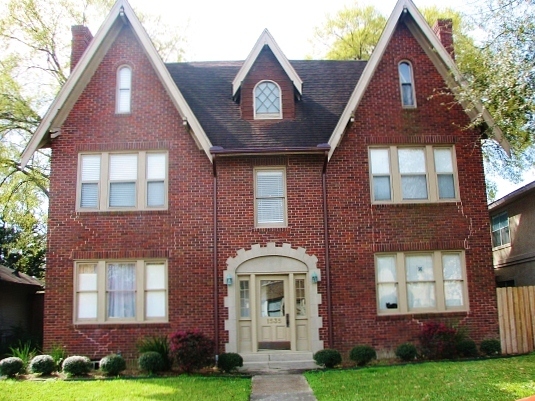 I dearly hope that whoever intends to buy this house restores it to its previous glory. Sadly, this will not be the case, the price of the property suggests so; instead this lovely centenary home will be surely replaced by a towering town house, as seems to be the trend in Montrose. Montrose, Westheimer Road. Houston, Texas. A shop on Montrose's Westheimer Road. Houston, Texas. The University of Saint Thomas Administration Building. Image by The University of Saint Thomas. The Museum of Fine Arts Houston. Image by Peggy W.
Planned as a streetcar suburb for the city of Houston, Montrose was platted in 1911. 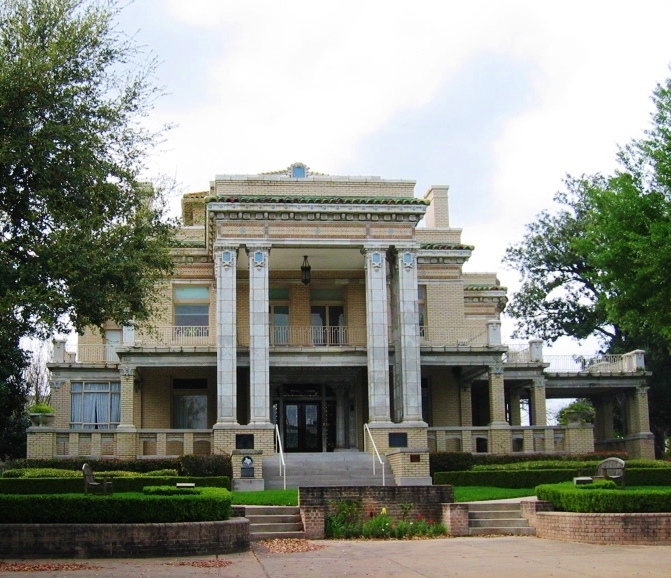 According to the guidelines of the City Beautiful Movement, Montrose was laid out with wide boulevards, handsome Beaux Arts buildings, and urban parks. The Woodrow Wilson Montessori School. Houston, Texas. Lanier Middle School. Houston, Texas. Montrose apartment building. Houston, Texas. Image by Loopnet. House in Montrose. Houston, Texas. Montrose's founder J.W. Link once said "Houston has to grow. Montrose is going to lead the procession." And grow it did, to sprawling proportions; but in Montrose's quiet streets, under the shadow of the oaks, civility still fights for survival, which is why the thought of loosing yet another beautiful building, only to be replaced by a structure of much lesser quality saddens me immensely. Row houses in Chicago's Lincoln Park. The Royal Crescent in Holland Park. London, England. Image by Wikimedia. The row house provides all the comforts of a detached home on a narrow site, the main circulation is centered on the stair along which all rooms are laid out. 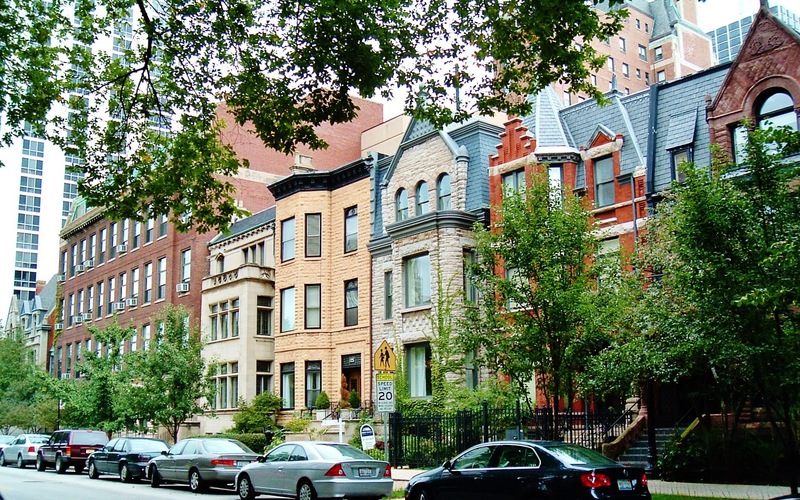 In most American cities the scale of the row house mediates between the monumentality of the Public Realm (museums, schools, churches), and the modesty of the Private (single family houses), which historically have been located on the edges of the neighborhood. Row houses in the Upper West Side. New York City, New York. Place des Vogues. Paris, France. Image by Wikimedia. Tower of Babel syndrome: let's see who can build the tallest one! Faux Mediterranean. Notice the main entrance is through the garage door. In contrast, a hammock and chairs await family and friends on the porch. 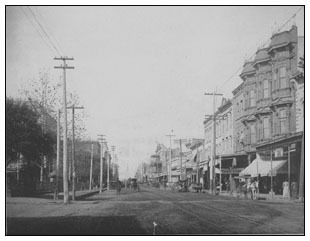 Houston's Main Street at the turn of the 20th Century. Image by Houston History. 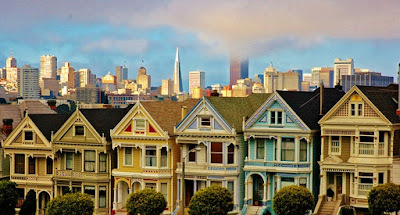 San Francisco's "Painted Ladies". San Francisco, California. Image by Brufiki. The sad replacement, just completed. Montrose. Houston, Texas. 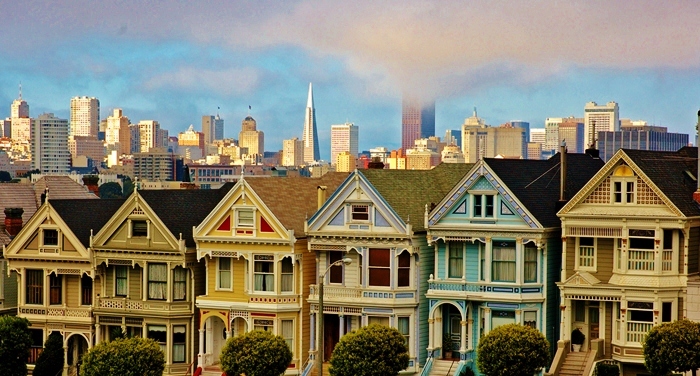 A developer's "Painted Lady". Montrose. Houston, Texas. 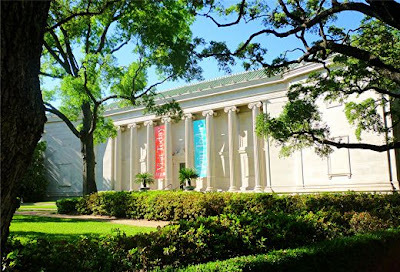 The recent approval of three new historic districts (which protects historic structures from destruction) in Houston's Heights neighborhood, has halted many a developer's interest and stirred much criticism from those who say that preservation gets in the way of the future by assuming that old structures will be replaced with bad new buildings. Well, it is evident to me that nothing currently being built in the area can replace what is being destroyed, and until I am shown convincing evidence of the contrary, I will mourn the loss of every historic building. Sidewalk view of the new townhouse on Commonwealth Ave. Houston, Texas. Victorian house near Cherryhurst Park in Montrose. Houston, Texas. For a shapeless stucco extravaganza. But at least we'll have granite counter tops, walk-in closets, whirlpool tubs, and if we are lucky the developer will throw us a "bonus room", which is just fancy speak for the left over dead space they don't know how to integrate into the rest of the house. May the lovely house on Stratford street rest in peace, and let's hope that this time its replacement is a worthy one. A lovely autumn afternoon in Montrose. Houston, Texas. All images by NPL unless otherwise noted. seriously, it can make you cry. 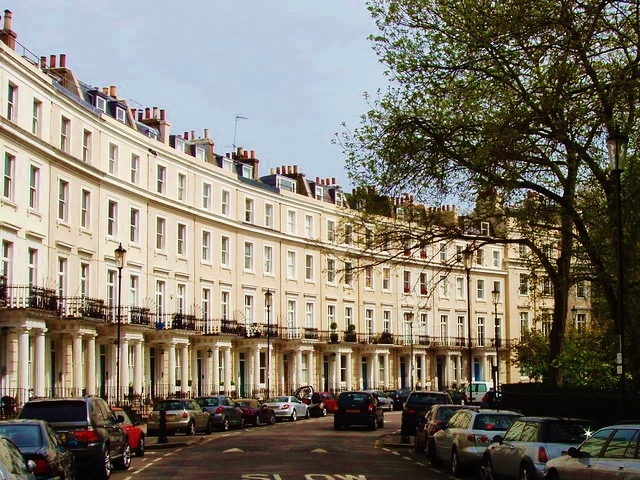 those town houses are just so ugly - and why? why can't they at least build more attractive ones?? love the hidden front doors. at least the new construction in the heights is much more attractive than montrose. don't you think?? or not? I agree, Heights new construction in general is much better, contributing to the neighborhood. I'm planning a post on that eventually, other neighborhoods should take note. I feel the same way... this is such a loss! Why can't new developments take the character of the neighborhood into consideration? There has to be a way to incorporate some modern amenities that buyers want while still preserving the historic nature of a building. I was especially interested in your comparison of the garage door vs. a welcoming porch; I never thought about how isolating it would be to ONLY have a garage door (I grew up in a house with both). I can't imagine choosing to lose the porch to have a bigger garage and no entrance from the street. Great post, Nadia! Side note: When I was in Paris last month, we were lucky enough to stay just off the Place des Vosges. Seeing it in comparison to these less charming new developments really highlights the contrast... if only they were held to the same high standards! 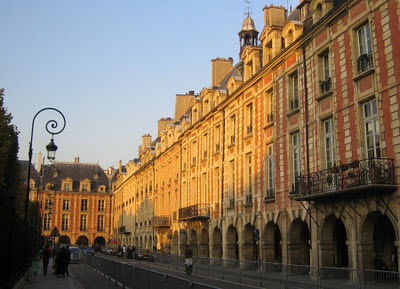 Yes, the Place des Vosgues really puts things into perspective, aesthetically and urbanistically: the first floor is lined with arcades that define the public square, protect people from the elements, and promote socialization with our fellow human; talk about a front porch! While I do detest most builder homes for their lack of composition, low-quality construction and complete disregard for any relationship to anything but self, I must point out that some of what we encounter with these new town houses is necessary. While the aesthetics could obviously use some help and the plan could be refined many times over, comparing a 1200 square foot house with front porch occupying an entire 5,000 square foot lot to multiple townhouses occupying that same space is not an apples to apples comparison. Garages are stuck in front of townhouses because there simply isn't room on the property to allow for a side driveway and rear garage. While this is obviously a function of the size of the house, I would ask whether everyone wants to live in a 1200 square foot, 100 year old house. For myself, although I do appreciate the traditional forms and aesthetics, I prefer contemporary designs in most cases (when done properly with attention to things like scale, proportion, hierarchy, etc.). I also need more room than most of these small cottages and bungalows provide. If our plans work out, we are aiming to construct a 2500-3,000 square foot home in the future. While many would gasp at how 'large' this is, it will sufficiently meet our needs. The problem lies in builders making assumptions on what a general audience 'needs' and then repeating that for every single design. Since these spec homes are not custom, there will be waste and watering down of aesthetics to appeal to a large audience. Spec building is still a lucrative business, as the homes are selling; whether due to lack of options for the public or simply unrefined or ignorant tastes, I don't know. I don't necessarily agree that everything that is 'old' should be saved, but I will advocate that whatever replaces it should be 'well done'. I think that is your main concern: that if an old building does not meet current needs, then at least ensure that the replacement is not hideous. I'll stand behind that any day! I’ll leave the historic preservation comments to those who feel qualified to weigh in. As far as an engaging blog post, you have several things going for you. You’ve offered a nice blend of narrative, history and opinion. You’ve provided plenty of relevant photographs. You’ve responded to your readers in the comments section. This post reinforces your blog’s overall theme; experiences of architecture, art and culture on a life-long journey. Keep up the good work, Nadia. A great construction depend on great design and good or perfect material.so material must be good.Material is main element of strong.your residential house design is very nice.Thanks for sharing. I'm so happy I found your blog; I love it so far! As a Montrose Realtor and homeowner, I find that we are losing some of the character that really defines Montrose - And as a former architect/urban designer, I definitely agree with your take on townhouses. While the unprecedented growth that is happening in Houston right now is great for our city, it also means that we are wiping neighborhoods clean and replanting only one style where years of history had previously created enough diversity to outweigh unpleasant design decisions. Wishing you all many blessings on this day of gratitude. Houston Living: The Great Pumpkin!